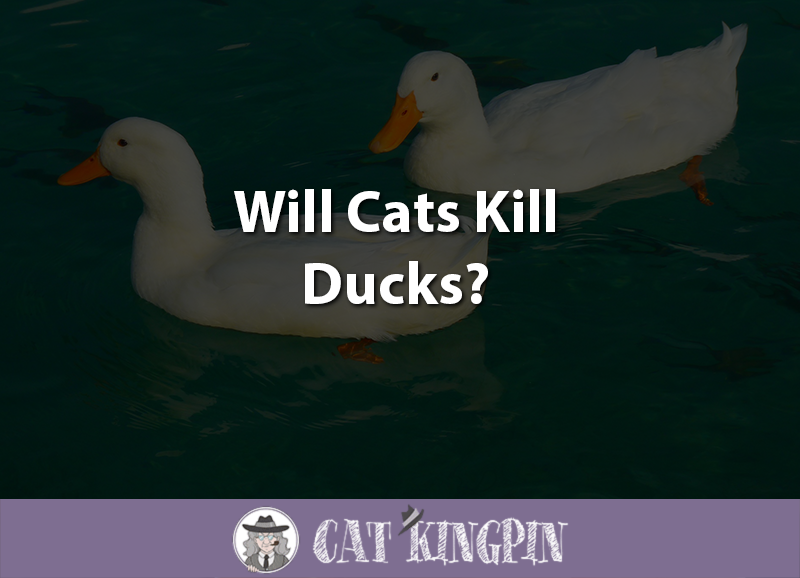 » Will Cats Kill Ducks? If you have spent any time with a cat, it is immediately obvious that their predator instincts lie pretty close to the surface. The way they stalk and pounce on a toy leaves little doubt that they still have a lot of the wild left in them. As natural born hunters, we all know that cats will kill mice. But what about something bigger? Will cats kill ducks? Will Cats in the Wild Kill Ducks? Will House Cats Kill Ducks? Is It Safe for House Cats to Eat Duck Meat? Ducks are part of a large family of waterfowls, scientifically known as the Anatidae, which contains over 150 species, including geese and swans. Ducks are mainly aquatic birds, and are found throughout the world. Ducks have been domesticated for at least 4,000 years, which is about half as long as cats. The mallard was the first species of duck to be domesticated and all domestic ducks are descended from them, except for Muscovy ducks. Domestic ducks generally weigh between 3 ½ to 8 pounds. However, the Muscovy is much larger and can get up to 15 pounds. Although domesticated ducks are most commonly raised by people as a source of food, many are kept as pets. There are also ornamental varieties of ducks which are kept in backyard ponds as a symbol of refinement and beauty. To understand the hunting behaviors of house cats, it is often useful to look to what cats eat in the wild. If certain wild cat species kill ducks, that can be pretty compelling evidence of your feline companion sleeping on the couch next to you. Your cat might respond in the same way if they happened to encounter a duck. There are many different wild cat species. Among this wonderful variety, there is a wide range of sizes, from smaller than our domestic house cat to as large as the Tiger. It is known that some of these wild cats do hunt and kill ducks. However, whether a particular wild cat species considers ducks prey, largely depends on the size of the cat. Our domestic cats are thought to be descended from the Near Eastern Wildcat. The main prey of our house cat’s closest cousin includes rodents, birds, reptiles, and insects, all of which are smaller than the average duck. It really comes down to the fact that ducks are decent fighters and most would be more than a match for a smaller cat. However, larger and more powerful cat species might try to kill and make a meal out of a duck. The lesson to be learned from wild feline species is that if a cat is large enough, there is a good chance they might kill a duck. Because domestic cats tend to be much smaller than most of their duck-eating cousins, it’s unlikely that most house cats would take on an adult duck. However, ducklings can be at great risk around the house cat. It is well documented that house cats cause great damage to wild bird populations, which is one good reason why you should keep your house cat indoors. Ducklings, being relatively close in size to a typical songbird, are much more likely to be viewed as prey by a house cat. Now that we know that in certain circumstances, cats will kill ducks and even eat them, the next question is whether it is safe for house cats to eat duck meat? Cooked duck meat is generally a safe snack for your feline companion. However, like all raw poultry, raw duck meat carries a risk of Salmonella contamination. In severe cases, life-threatening septicaemia and endotoxemia may develop. While it’s unlikely a little raw duck will cause serious health problems for your cat, why take the chance? Additionally, much like chicken bones, duck bones, can actually be dangerous for your cat to eat, especially after they have been cooked. So, will cats kill ducks? Now we know that it is unlikely an average-sized cat will kill an average-sized duck. However, if your cat is particularly large, or if it comes across a baby duckling, the risk is much greater for the duck. We also learned that your cat can eat cooked duck as a special treat, though they should avoid raw duck because of the risk of Salmonella poisoning. If you really want your cat to enjoy the taste of duck, why not give it to them Blue Buffalo Wilderness Duck Diet. 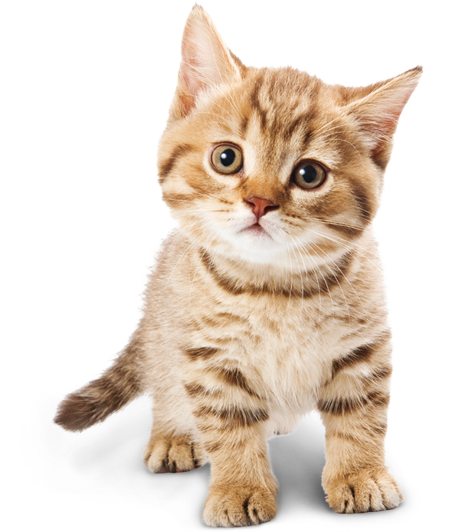 This complete and well-balanced cat food has everything your cat needs to stay strong and healthy. And to give them a chance to exercise their latent hunting instincts, try the Ethical Pet Skinneeez Duck Toy. Filled with catnip, this toy is sure to get your cat going. What did you think of this post? If you have any questions or would like to share a story about your cat and ducks, please tell us in the comments below! We’d love to hear from you.